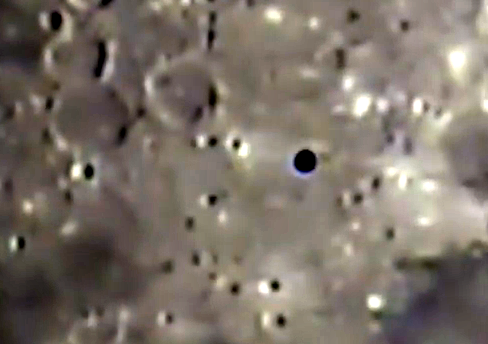 UFO SIGHTINGS DAILY: Stealth UFO Caught In Earths Orbit By Astronomer, Aug 24, 2015, UFO Sighting News. Stealth UFO Caught In Earths Orbit By Astronomer, Aug 24, 2015, UFO Sighting News. Dark circular UFOs have been seen crossing the surface of the moon many times, often making shadows on the surface. This one however, looks to be in Earths orbit. This UFO researcher, Richard205Maria caught this one and its fantastic. Its a stealth black disk. Black so that when its in deep space, its not visible to the naked eye. 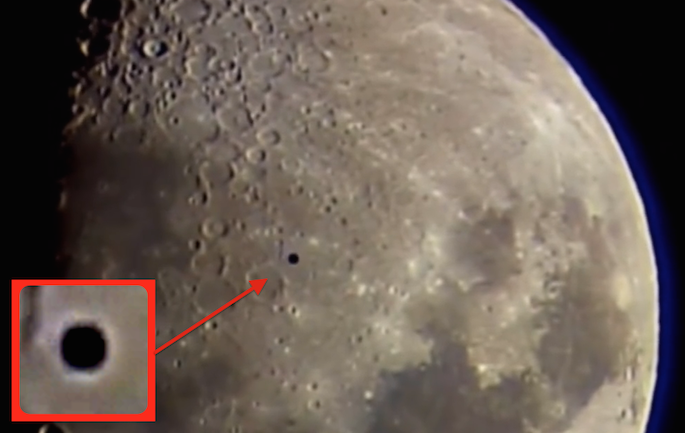 Those two ufos were caught on camera while recording the moon, one is big and slow the classical round shadow and the other one is very difficult to Identify...very fast and making a sharp turn in mid air. At super fast speed...just watch it and be a fair observer.